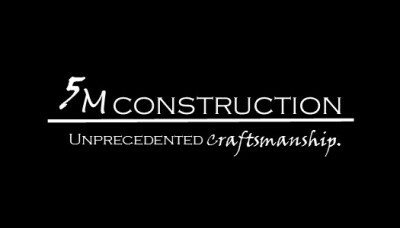 Located in historic downtown Minonk, 5M Construction is a locally owned business serving the needs of Central Illinois homeowners & business owners alike since 2014. We had 5M Construction do a big remodel project for us and they did a phenomenal job. They were able to give us everything we wanted in our remodel. They tore down walls, ceilings, tore out floors, moved walls, coffered the ceiling, put walls back up, tiled floors, installed wood floors, installed cabinets, designed a custom concrete sink, hung fixtures and more! I highly recommend 5M. Thank you for the awesome job that you and the crew did at our home. We are extremely pleased &have been dropping your name to all our friends. I'm sure we'll be in touch soon!